The i1Basic Pro 2 is the industry standard for affordable, professional-level workflow calibration. This product covers the essentials of display and projector profiling, monitor and print quality assurance, and spot color measurement. 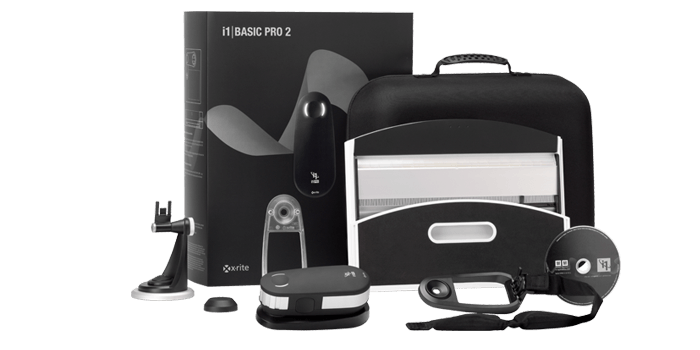 With the i1 Basic Pro, one can quickly and easily create custom monitor and projector profiles that ensure the colors you view are true, verify soft proofs and print quality with built-in Quality Assurance (QA) tools, and easily capture and manage spot colors. Plus, with the free ColorTRUE mobile app, you can even calibrate your Apple® iOS mobile devices. Calibration tools are an essential part of any color-critical workflow, whether you are an indenpendent professional working with web or print files, or part of a larger color-critical workflow such as a print shop, photo studio, or advertising agency. ImageTech technicians are experts in color management workflows and offer on-site training and support.